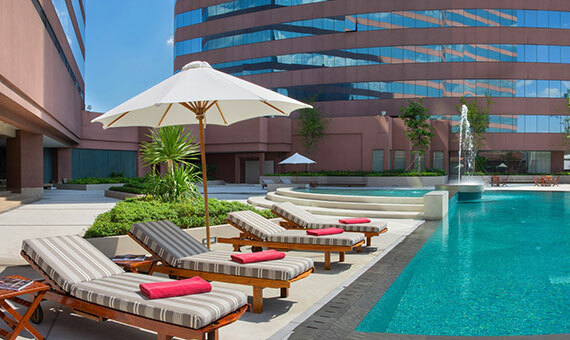 The luxurious Swissotel Le Concorde, Bangkok is a five-star hotel located on Rachadapisek Road, Bangkok’s new thriving central business and entertainment district, and is approximately 40 minutes away from the Suvarnabhumi International Airport. 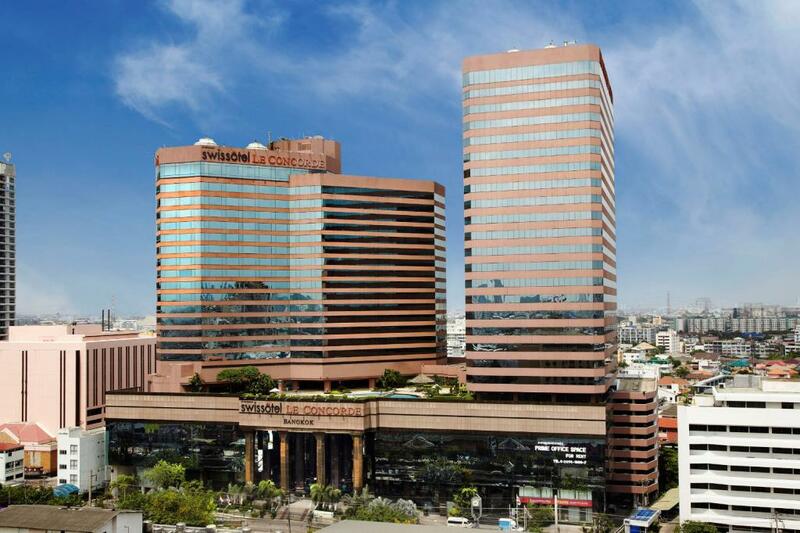 The Huai Kwang train station is a two-minute walk from the hotel with Bangkok’s prime tourist attractions, central business district and convention centre just a few train stations away. 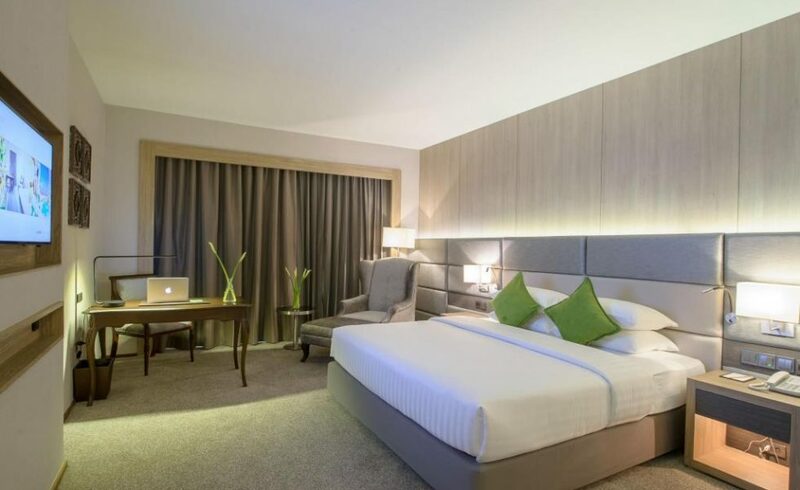 The 22-storey hotel offers travellers affordable luxury with 407 elegantly spacious rooms and suites and impeccable Swiss hospitality. 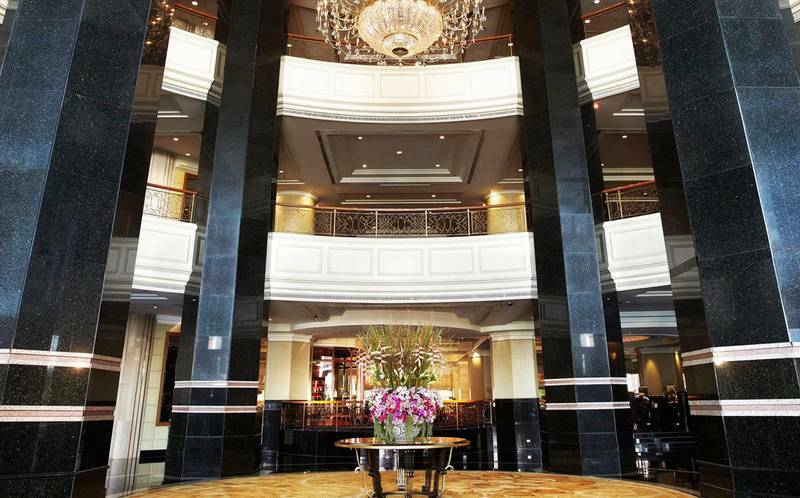 The top four floors of the hotel are devoted to the Executive Club rooms, which offer complimentary access to the lounge with an exclusive breakfast buffet, evening cocktails, private meeting space and an Executive fitness centre. 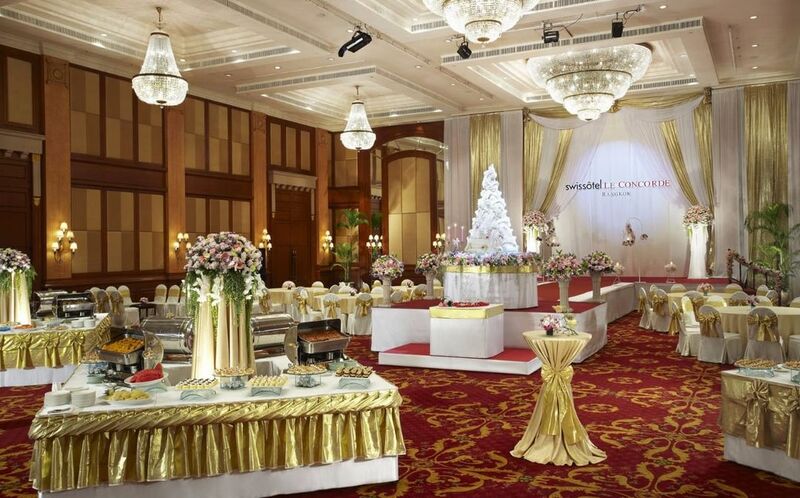 Featuring truly amazing meeting and convention facilities, Swissotel Le Concorde Bangkok offers 4,006 m² of meeting space, with a team of event planners on hand to help you hold the perfect wedding. Whether you are looking for a formal dinner, a light snack or simply a comfortable place to relax and enjoy a quiet drink, you will find what you’re craving at any time of the day – there are four restaurants serving innovative Cantonese, Thai and Japanese cuisine, as well as a deli with delectable cakes and pastries. The luxurious Spa De Concorde is the perfect place to unwind and revitalise, offering a wide range of modern and traditional spa treatments in a relaxing, contemporary Thai environment. The spa includes a beautiful outdoor swimming pool with sweeping views and a large, state-of-the-art fitness centre with steam rooms.